I have attended many hackathons, both as a participant and an evangelist. But before earlier this month, I hadn’t been to one like this. 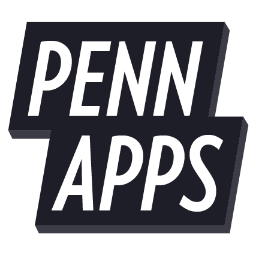 PennApps is renowned. It started with just 17 teams in the fall of 2009. This event has over 1,000 people. 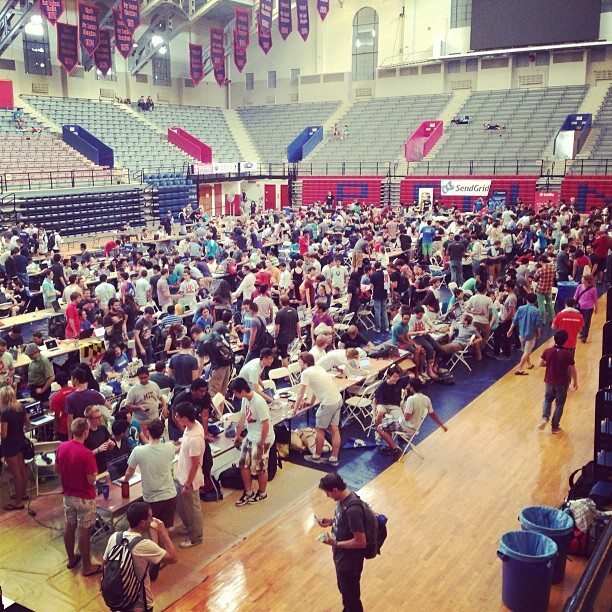 I’m sitting in the beautiful Palestra basketball arena at the moment, and the hackers are starting to file in. Great basketball games have been played here, and now great hacks will be demonstrated. Some of these hacks will go on to become the next great startups. Over 200 teams are pitching and demoing their hacks. Judges are walking around – myself, Kunal, and Yamil included – watching the demos and listening to the pitches. From these ~200 teams only 20 will be selected for the final on-stage demos. Time is up. The 1,000 of us start filing out of the Palestra. 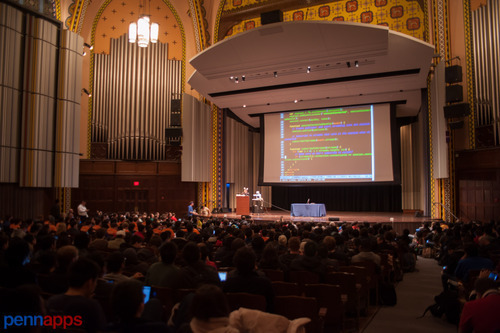 We walk through tree-lined paths flanked by red-bricked ivy league buildings and into the beautiful Irvine Auditorium. We settle into our seats and the final 20 on stage demos begin. As the demos begin, I can see why a special league called Major League Hacking is starting up at this hackathon. These are major league hacks. A hack called Weighly calculates the weight of liquid in a container simply by taking a picture. Decrowder lets you take a picture of yourself in front of a crowded monument – removing the noise of other people in your picture. There was a voice-controlled browser plugin, a secure file storage system, and a Mario game that used the immediate world around you as Mario’s environment. He’d jump on ledges, tables, and across door openings. While the judges deliberate, the sponsor prizes are announced. 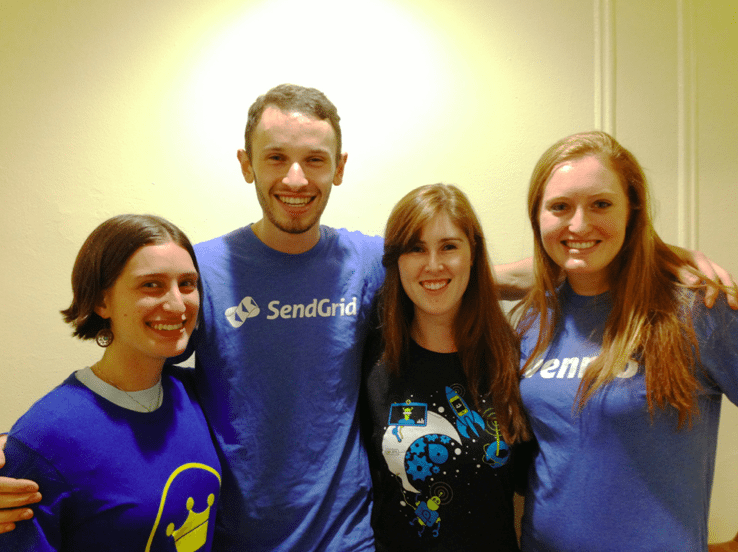 GeoCa.sh wins the SendGrid prize. It uses email combined with Foursquare and Venmo to share caches of money at specific geo locations. The judges have finished deliberating now and announce the winners. 3rd place goes to Soundmesh – a hack that combines all your friend’s phones to create a surround sound ‘party’ speaker. 2nd place goes to Super Duper Mario which I described above. 1st place goes to Swap. Swap is a framework for iOS developers to update their iOS apps in real-time. You drop just one line of code into your app and you can change colors, add code, and much more without needing App Store approval. Amit‘s comment sums things up best for my first major hackathon: “The best hacks did not make use of the sponsor APIs. They created something new out of nothing”.